We can sew you a tablecloth in your chosen fabric, to your required length. The price for this service is € 2,70 per metre, or part thereof. For example, a 2.30 m tablecloth will incur a € 8,10 sewing fee. Round or oval tablecloths are not available. Tablecloths require a seam allowance of 10 cm, which must be added to your fabric order. Please also consider the width of the tablecloth, which will be 10 cm narrower than the purchased fabric width. Example: The finished tablecloth should be 230 cm long. 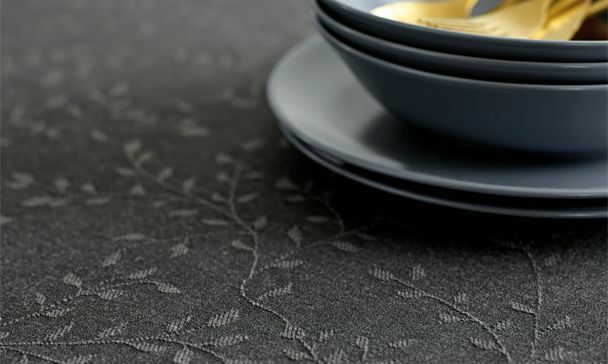 ​​​​​​​The chosen fabric is 145 cm wide and costs € 5,35 per metre. The finished tablecloth measures 230 x 135 cm. Once you have chosen your fabric on the website and selected the required length plus 10 cm, tick the 'To be sewn into a tablecloth' box. When you add the item to your basket, the sewing fee is calculated automatically. Finally, check your shopping basket to ensure that the order is correct.